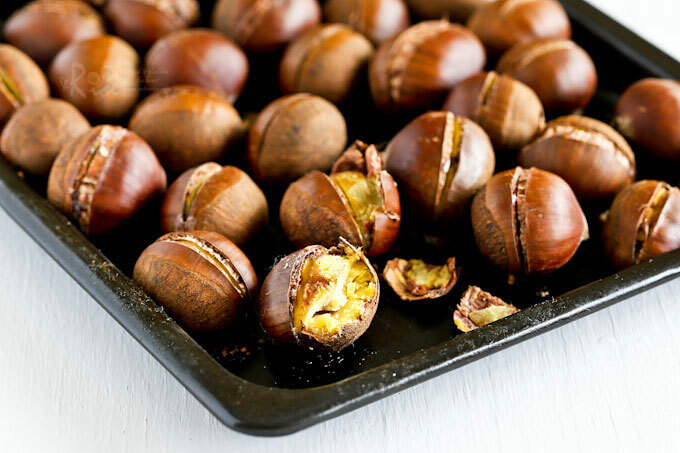 Oven Roasted Chestnuts are a treat this time of the year. 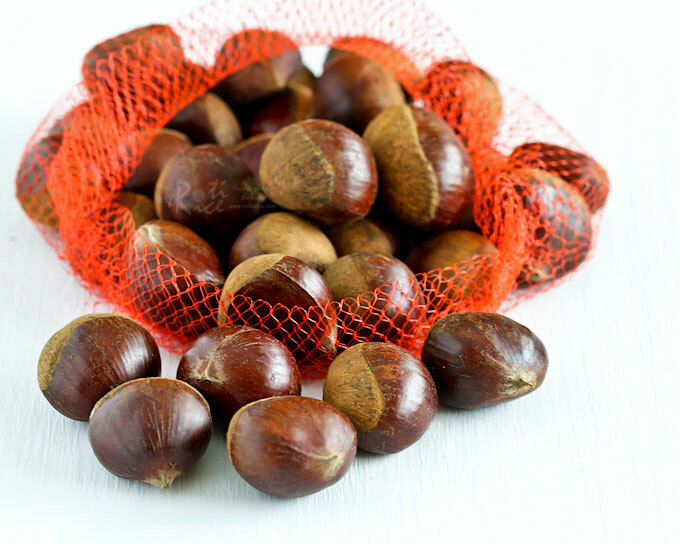 Fresh chestnuts start appearing in early November just in time for the holidays. The season is relatively short and so be on the lookout if you are interested to give it a try. I personally love roasted chestnuts and can’t resist bringing a bag home whenever I see them. 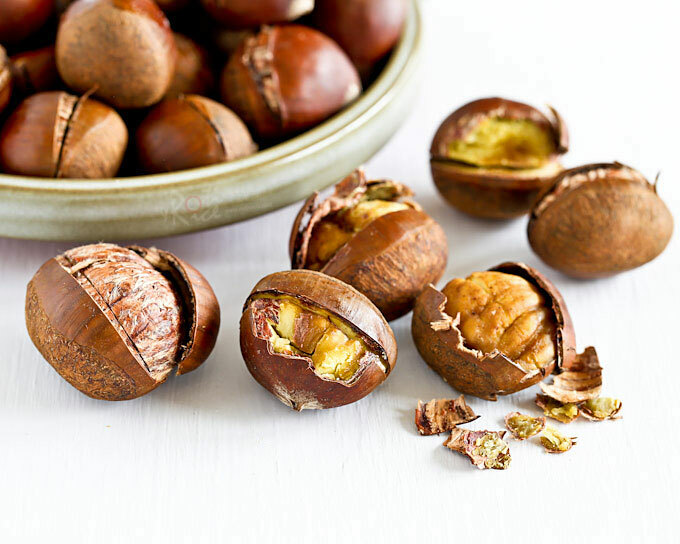 Always choose plump, shiny, and weighty chestnuts. The lighter ones tend to be hollow because they are past their time. You can see what it looks like here when that happens. 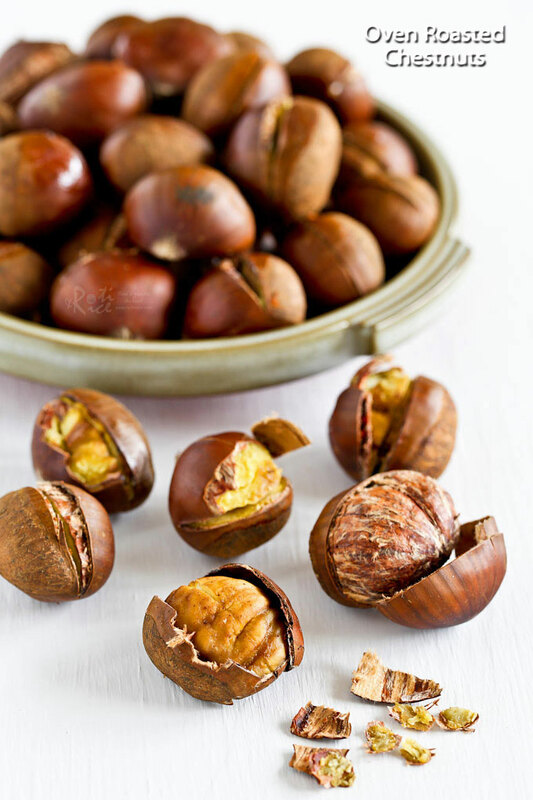 Oven Roasted Chestnuts are not the easiest to peel but it helps to do it while they are still warm. Anyway, they do taste better that way too. Some are easier to peel than others but I hope this will not deter you. Their sweet and nutty flesh is worth the effort. I was fortunate to find big, plump, shiny chestnuts this time. I kept it simple by slitting and roasting them in the oven without any flavorings. If you are interested to use some kind of flavoring, do check out my stove top Coffee Roasted Chestnuts. Wash and drain chestnuts. Wipe dry with paper towels. Using a sharp knife, cut a slit about 1/8-inch deep through the curve part of each chestnut shell. 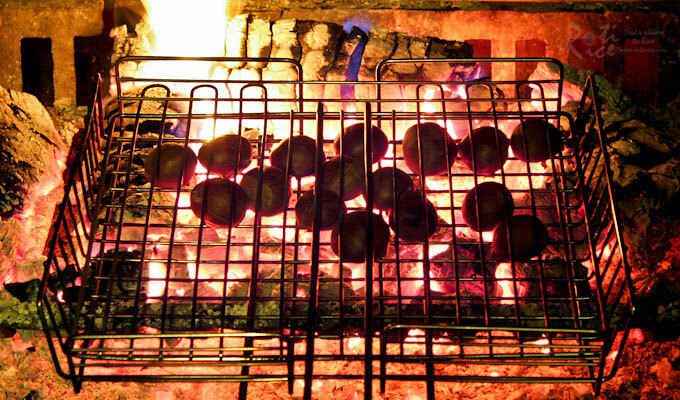 Place chestnuts on a baking tray. Roast in a 350˚F (180˚C) oven for 25 to 30 minutes. Transfer to a bowl and cover with a towel for 10 minutes. This will make them easier to peel. 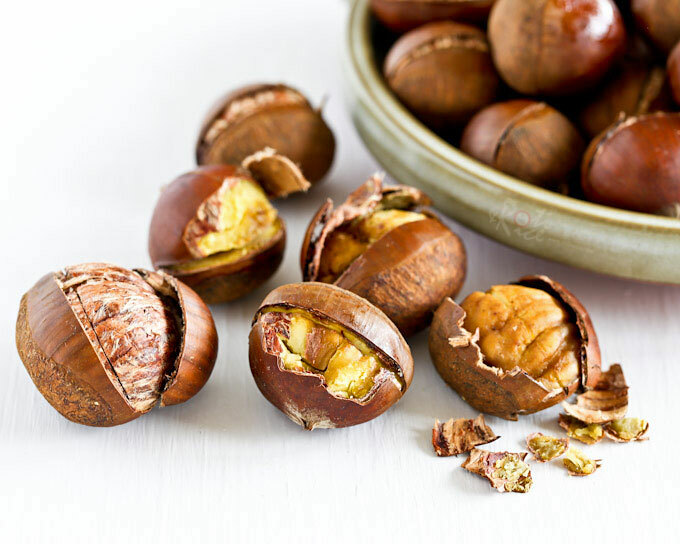 Peel chestnuts while still hot. Some are easier to peel than others. Use a paring knife to peel the inner skin if necessary. 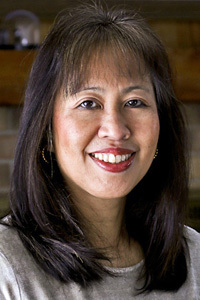 If the inner skin will not slip off, use a paring knife to help peel it off. I did get a few stubborn ones but the rest of them came off with the outer shell. 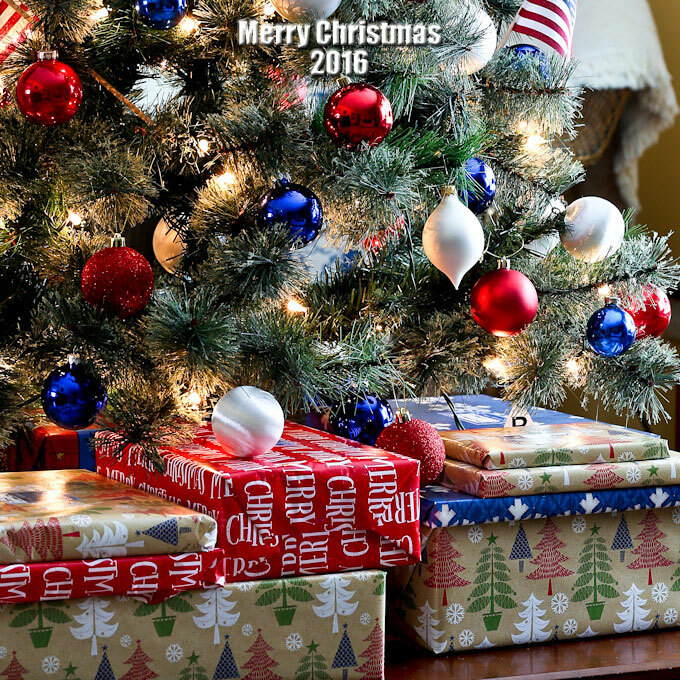 WISHING YOU ALL A VERY BLESSED AND MERRY CHRISTMAS!